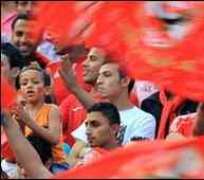 Egyptian giants Al Ahly have been drawn against their great rivals Imsaili in the group phase of this year's African Champions League. Alongside them in Group B are Algeria's JS Kabylie and last year's runners-up Heartland of Nigeria. Group A is a north versus south battle with holders TP Mazembe of DR Congo and Zimbabwe's Dynamos facing Esperance of Tunisia and Algeria's Entente Setif. The first group games will be played on the weekend of 16-18 July. Ahly scraped through into this stage of the competition with a stoppage time goal in their final knock-out match against Al Ittihad of Libya. Nevertheless, their resources and the strength of their support make the 6-times winners favourites to make it to the semi-finals. Mazembe too have very deep pockets and will prepare very thoroughly, especially for their difficult trips to North Africa to take on Esperance and Setif. In recent years they have gone to Harare ahead of major matches, but that seems unlikely this time round – given that Dynamos are in the same group as them this year.